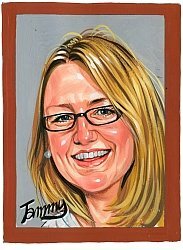 The Caricatures can be as detailed as you want them to be. 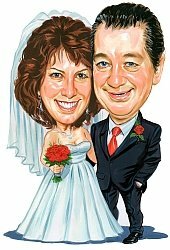 There is no set limit to the details we can include in the Personal, Couple, Wedding, Group Caricatures or Avatars. In case your caricature includes pets, cars, detailed buildings or other major detail, we will charge for them as they would be an additional person. A caricature with a man next to his car, with his dog in it counts as a 3 people job: (man, his own car and his dog). We will also need a picture of the dog and one of the car along with the main picture. Amazing...they are very good about staying in constant communication with you & you know that they want your picture to be as awesome as you do. Can't wait to give ours to my husband! He's gonna freak! Thanks!! Great use of it on my personal email, blog and on my website. I also use it as my avatar on Twitter and Facebook and everyone just loves it! You are definately wonderful at what you do. Words can't even express how I feel about this piece of art. The caricature is amazing. Thank you so much for everything! Write a review to share your experience with others. Your review will be more valuable, if it contains your opinion, not only the caricature description. Readers are interested in your point of view. 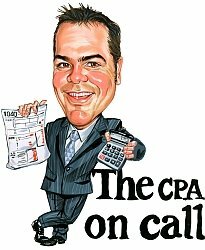 Personal Caricatures are a great gift idea. The caricatures are fully customizable and the subject can be drawn in any setting and clothing desired. We can make your caricatures from photos. All we need is a picture of the face and a setting described by you. The 2 People Caricatures are usually used either as wedding gifts, or for best friends and business partners. Upload your pictures online and let us know how you want to be drawn. We’ll do our magic, and you will get an unforgettable caricature. 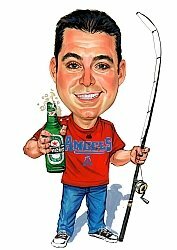 The Group Caricatures are very popular as bridesmaids or groomsmen wedding gifts as well extremly nice retirement presents or office / team caricatures. 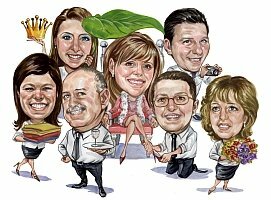 We can draw any number of people in a group caricature. Logo Caricatures are used by businesses that want to stand out and show that they are open minded, thinking out of the box. Great for any business to use on it’s website, business cards, ads, business stationary and more. Avatar Caricatures are usually used on social media websites like Twitter, Facebook and more. They can be also used as email signatures, blogs and other online media. Copyright © 2019 WeCaricature.com. All Rights Reserved.